First, we need to be clear about what you mean by mastery. The piano is not something to be mastered once and for all - learning the piano is a life’s work and a life’s love because we continue gaining insights into interpretation, refining technical skills and improving aural perception throughout our entire lives. If we re-phrase your question as, 'Could I, one day, be able to play the piano to a level that gives me fulfilment and enjoyment, even though I'm an adult starter? ', then broadly speaking the answer is, ‘Yes’. However, if mastery means to you the possibility of achieving recognition as an esteemed, concert performer then you have probably left it too late. There's a lot to take on board whatever your aspirations - as well as learning to read music and developing the physical techniques of playing, you'll need to develop your aural skills, deepen your understanding of how to shape musical phrasing, project tone and texture, and interpret musical style and character. There are exceptions to every generalisation but, broadly speaking, the following description might be a profile of today's top-class performer. Professional soloists tend to have started lessons no later than age 7 and often much younger. Study as a child does make a difference because that’s when the neural pathways in the brain are most rapidly and easily formed and when the foundations of the necessary technical skills are laid. Typically, a high-level concert artist will have been raised to be a future performer by parents who are musicians or who, at least, have a knowledgeable interest in music and education. An internationally acclaimed performer will probably have benefited from years of expert tuition and will certainly have practised for several hours every day for years, possibly at specialist music school and then at a major music conservatoire. Such a performer will already have listened to thousands of hours of music, including many concert performances, and grown up with a routine of performing to different audiences in concerts, exams and competitions. The art of performance is a skill to be acquired through practising performing and through developing a resilient psychological attitude. 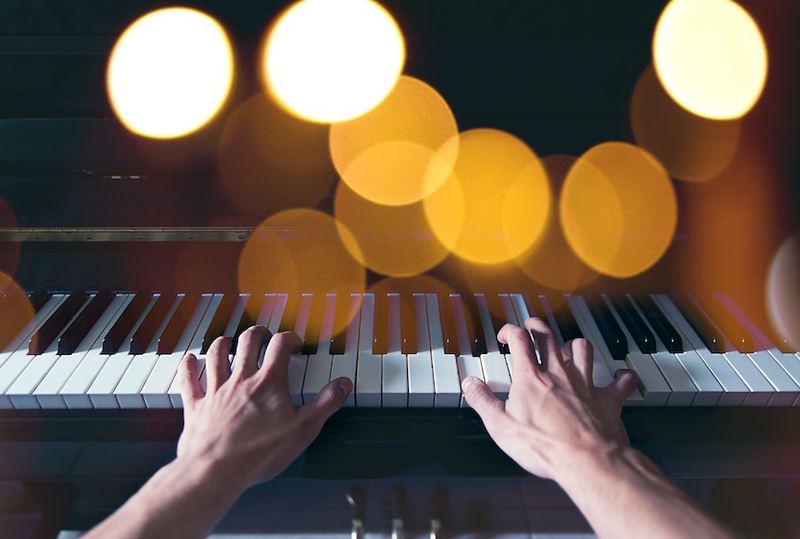 It's another generalisation but, writing with my examiner hat on, most adult learners suffer from performance anxiety in situations such as music exams and recitals. I've found that many adults even find it nerve-wracking to play for their teacher and their friends and families. Being a performer is not the most important aspect of playing an instrument but a knowledgeable teacher can help those students who do wish to play for others. Online programmes are also available for those who are determined to overcome performance anxiety. How will I begin learning? If you intend to ‘teach yourself’ (which, by definition, seems to be a flawed concept) you may either be disappointed by lack of progress or deluded as to your developing expertise. It's a much better idea to find a good enough teacher to help you to achieve your goals. Be choosy about finding the right teacher for you - there are many to choose from in most countries. As with most things in life, you generally get what you pay for and it's a good idea to do some prior research. Either get a personal recommendation or go for some trial lessons with several teachers and pick the one who will support your dreams as an adult learner. If you want to play classical piano, go to a classically trained expert; if you want to learn jazz, go to a jazzer. Some musicians do both but, at this stage in your adult life, it may be better to focus more narrowly. 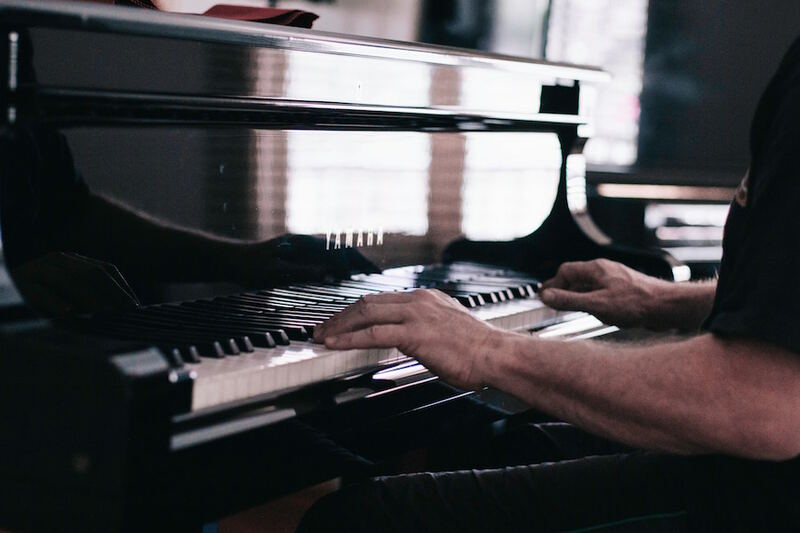 Not only has a musician's brain has been found to be different from that of a non-musician, there's also documented evidence that the brain of a jazz pianist behaves differently from that of a classical pianist, even when playing the same piece of music. Supposing that lessons with a teacher are not possible for you, I suggest signing up to a reputable online piano tuition programme such as the friendly Mr Hoffman's Hoffman Academy. Whoever you choose as a teacher, take advantage of the best online resources too: aural skills are easily acquired online at a very low cost. Buy good quality music books, avoiding poorly-notated (and also illegal) copies and scores. If you decide to learn from the internet, don't just copy what you see and neglect to learn to read music otherwise you will never be independent. This is a 'how long is a piece of string' question! A good teacher guides and supports your learning, but you are the one who will be doing the practice. Thomas Edison was famously quoted as saying, 'Genius is 1% inspiration, 99% perspiration' and, according to the Ten Year Rule, first identified by Hayes, there is evidence to suggest that at least ten years of dedicated work are needed to approach expertise in any field. Historically, there seems to be much to support this theory as a generalisation (see Robinson's article, Does Genius Follow the Ten Year Rule?). The so-called 10,000 Hour Rule, based on studies by Ericsson and made popular for some time by Gladwell, estimates that some 10,000 hours of practice are needed to produce a competent, professional performer. Many successful musicians have indeed put in over 10,000 hours before achieving their primary goal of being inspirational teachers, composers and musicologists. The 10,000 Hour Rule does need to be taken with a pinch of salt, however; some psychologists have rejected the rule and both Ericsson and Gladwell have advised against over-simplification. It is probably true to say that many people who have practised for longer than this are still not great musicians! It's not a simple equation. The quality of practice, the support from significant others, the expertise of the teacher, the mindset of the learner and, of course, love of music are factors that affect success and are just as relevant as counting the actual hours spent practising. The emotional maturity needed to express a profound musical work accrues as a result of life experiences as well as musical ones and cannot be rushed. The relationship between practice, talent and achievement is described by Michael Griffin in this way: 'Quality and quantity of practice develop expertise ... identifying talent is retrospective, and the emergence of prodigious skill follows rather than precedes unique opportunity and substantial work'. Why do some of us learn things more easily than others? 'Nothing is more effective than practice,' says Lara Boyd, Canada Research Chair in Neurobiology of Motor Learning in her TED talk, After watching this, your brain will not be the same. The bottom line is that we have to do the work. When we learn, our brains change and the primary driver of change in the brain is our behaviour. Nothing is more effective than practice. In fact, increasing the difficulty of our practice, increasing the struggle during practice, actually leads to both more learning and to greater structural change in the brain. Our brains are shaped by things we don't do as well as by things we do and everything we do, encounter and experience changes our brains, for better or for worse. Even not doing something affects the brain. There's no special recipe for learning, however, no one-size-fits-all strategy; to optimise learning each individual needs their own personal strategy. Learning is about doing the work that our brain requires so the best strategies are going to vary between individuals. Behaviour that we employ in everyday life affects us as learners and as teachers, which may be why some teachers and learners are a better match for each other than others. SO - IS IT WORTH THE EFFORT? 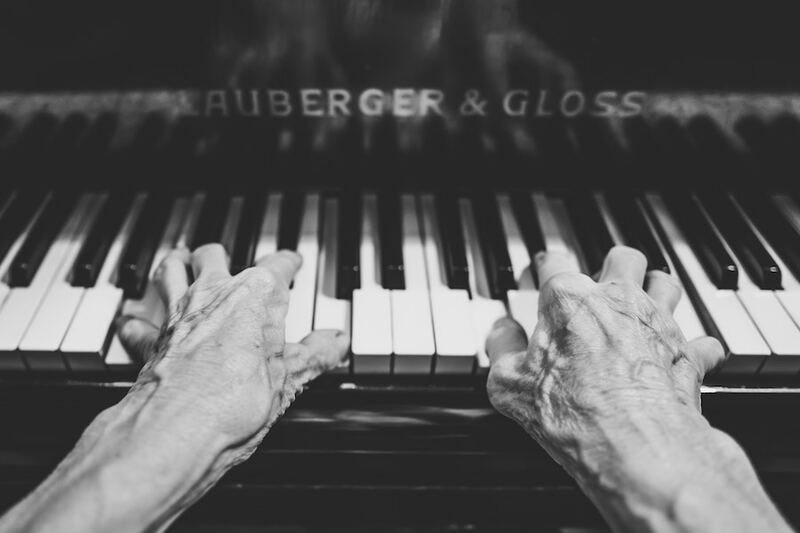 Maybe you need to ask yourself whether you think it's worth learning to play piano in the knowledge that there will always be someone who is better at it than you. If you can accept that fact of life, welcome to the real world of the musician - get started now! Instead of wondering how long it will take to 'master' the piano, enjoy your journey as a pianist.